NEW YORK - Authorities say three people found dead in a burning New York City apartment had been stab. Sources told CBS New York the fire may have been part of a murder-suicide. 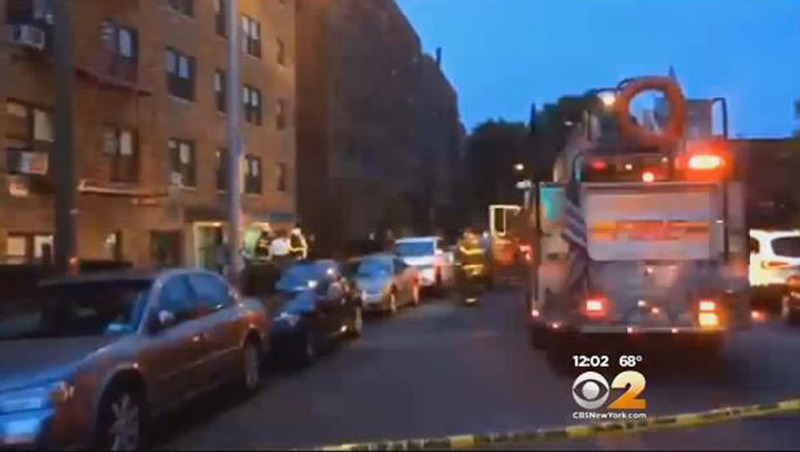 The blaze broke out at 4:50 a.m. Tuesday inside a sixth-floor apartment in Queens. According to the station, the fire was brought under control around 5:30 a.m., and police said firefighters discovered the bodies of two males and one female inside the apartment. Neighbors told the station that a husband and wife lived there with their teenage son. Police said the victims were all found near the apartment entrance. CBS New York reports sources said it appeared more than one of the victims had their throats slashed and that the father may have killed his wife and son before slitting his own wrists. The sources said a knife and a suicide note apparently written by the father were found at the scene. The note allegedly indicated the family was having financial troubles. Chief of Detectives Robert Boyce said the bodies were "in such a condition where we cannot identify them right now." The medical examiner's office will determine the cause of death. The cause of the fire is under investigation. Authorities said the fire was confined to the apartment.